Finding travel insurance for your next trip can be difficult, especially if you're travelling to a country far away or for the first time. Our destination guides will help you pick the best cover for your holiday. With its golden temples, stunning beaches and buzzing cities, it’s little wonder that Thailand has become such a popular tourist destination. And despite an influx of visitors, Thailand’s rich cultural heritage remains intact. If you are planning a trip to Thailand you’ll need to book some travel insurance before you set off so you’ll be able to fully enjoy your holiday knowing that you have cover. 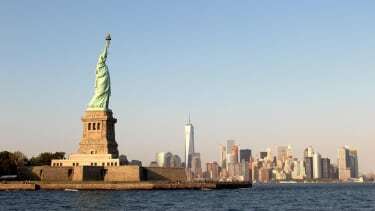 Whether shopping on a New York city break or savouring the smooth sounds of New Orleans jazz, one thing’s for certain: your holiday to the USA promises to be an unforgettable one. Making the most of your time in this incredible country is enough of a mission without worrying about travel insurance; fortunately, Cover-More UK has a range of policies that ensure your trip is properly safeguarded.